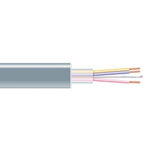 In many telecommunication applications, these RS232 cables are a standard form of transmitting data through computer devices. RS232 bulk cable can be used with a lot of computer devices, including modems, printers, and mice. 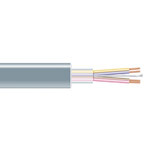 Useful for most DB applications, this 9 conductor RS232 cable is available in either black or gray. 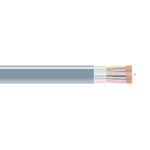 Commonly used in computer serial ports, these RS232 bulk cable will mount and terminate DB15 connectors. 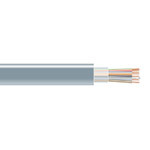 With 25 shielded conductors, this RS232 bulk cable is perfect for terminating onto DB25 connectors.